It’s the end of The Flood and YHVH has told the Noah’s family to, “Be fruitful and multiply. Fill the earth.” But apparently that didn’t happen. After time passed, people pretty much stayed in one place, so YHVH give them a kick in the tail and people went to different places speaking in different languages. And then one day some dude named Abram gets told, “Leave your native country, your relatives, and your father’s family, and go to the land that I will show you” (Genesis 12:1b). Now I’m not sure if YHVH was meeting Abram at the place he once was, but if you read Abram’s story in Genesis you’ll get a sense that YHVH indeed met with Abram on numerous occasions. Then the story takes a turn. When we look at Genesis 22:1-19, we see that YHVH calls to the recently renamed Abraham and tells him to take his son, his only son, to the land of Moriah, to a mountain which He will tell him and offer Isaac up as a burnt offering. Now, I’m not too sure about you, but I ain’t too comfy with the idea of being Abraham in this story. Why? First off, I would want to verify if this was really YHVH telling me to do this, and if it was I don’t think I have it in me to do such a thing to my son… ya see, I only have one. But I’m also not Abraham, who out of obedience wakes up the next day and begins the three-day journey to Moriah. By the way, Scripture doesn’t let us in on whether Abraham had second thoughts along the way…he just went as he was told. Now the thing to notice comes in Genesis 22:5, “And Abraham said to his young men, “Stay here with the donkey, and I and the lad will go yonder; and we will worship and return to you.” Now it is right here, at this moment in Scripture, we should take note that this doesn’t happen in modern day worship, we’re content to just bring the sacrifice of praise, but for this man, he is going to meet YHVH at the assigned place and he is bringing what he has been told to sacrifice. 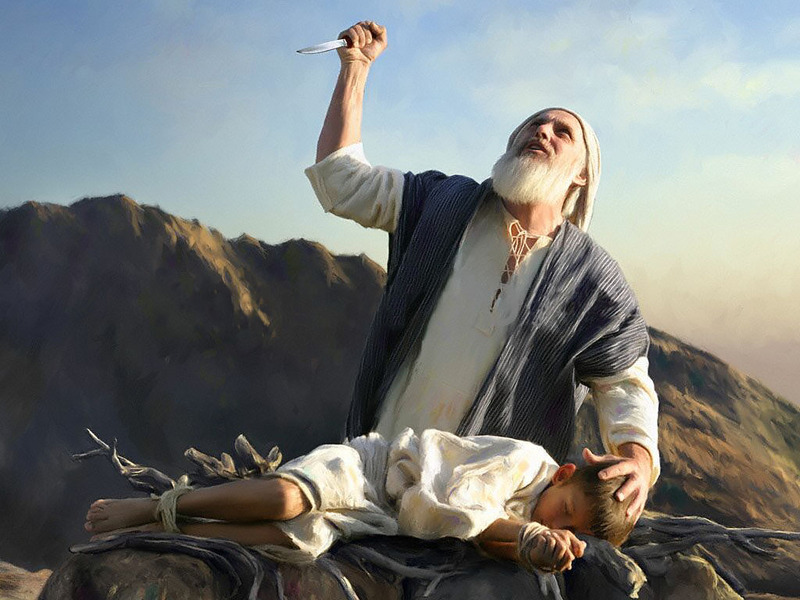 In verse nine, we see that Abraham arranges the wood (because we serve a God of order), binds up Isaac and just as the knife is ready to fall on the boy an Angel of the LORD says this, “Do not lay your hand on the lad, or do anything to him; for now I know that you fear God, since you have not withheld your son, your only son, from Me.” What an act of true obedient worship. Worship seems to have changed over the centuries hasn’t it? As far back as Adam, worship required us to bring something to sacrifice upon the altar and then spill its blood to cover for our sin against Elohim El-Elyon, The Creator, the Most-High God. But now, it is important for us to understand that everything we do is an act of worship to the glory of God. Next time I’m with you, I’ll take a look at how the only Son brought worship to bunch of fisherman, and I’ll explain what happened while I was at Harvey Cedars, NJ. Until then, why not take a look at how you’re worshiping the God of the universe and see where your heart truly is with it and ask yourself, “Am I meeting God at this place?” If you are, great, but if you’re not why not lend an ear and hear “What thus saith the LORD! !” Amen?